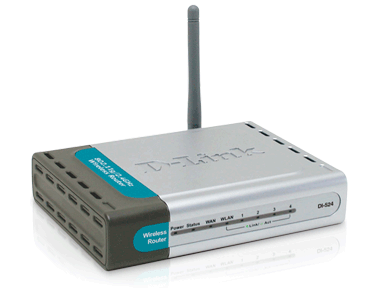 Last night my DI-524 wireless router died. One minute I was showing my wife a video about an inept NFL referee (I’m looking at you, Jeff Triplette! ), and a few minutes later, we had no wifi. So I chatted with my ISP to see what my options were and what I should be looking for specifically when I buy a new router. They are going to send me a new all-in-one router and modem, which should speed up my connection. They will be charging me $7 per month for this device, but since it would cost me about $150 or more to buy the equivalent at the store, I think it’s worth it to try it out for $7 for a month. I should get my new device next week. This morning I drove to Best Buy to get a temporary router. I ended up buying the Belkin N300 for $30.25. Best Buy had it listed for $42, but they price matched with Amazon. Side note: Get the Amazon app for your smartphone. You can use the app to scan the UPC code in the store, and Amazon will tell you how much they charge for it, and it’s usually less than the store. Most stores will price-match. Also, Best Buy says they will only price-match if the item says “Ships/Sold by Amazon.com.” If it’s some other vendor selling THROUGH Amazon, they won’t price match. I’ve saved a lot of money this way (got my car stereo for $25 less, for instance), and I highly recommend it. I brought the router home and plugged it in. Everything seemed pretty standard, and all I had to do was change the SSID (i.e. the name of my network) and the password. It also wanted to do a firmware update, which I did. Then, five minutes after I started using it, my speed dropped to almost nothing. Seriously, I used to get anywhere from 6-25 Mbps with the old set up, but now it was telling me I was getting 0.05 Mbps. I haven’t had speeds that slow since I was on AOL and changing my 16 year old son’s diaper. By that I mean it was about 15 years ago. He doesn’t wear diapers anymore. Nevermind. So I plugged my Ethernet cable directly into my computer from the modem and got my high speed back. I did a search for why this router was so slow. Short version is this: you have to go into the settings of the router on the computer (by going to http: //router) and turning the QOS off. I have no idea what QOS is, but when I turned it off, the router reset, and now my speed is between 7 and 15 Mbps. You shouldn’t have to change a setting in a new product just so it will work the way it’s supposed to. This would be like buying a car where you have to switch around some of the fuses before you can drive it off the lot. They should have done this at the factory. Side Note#2: While I was at Best Buy, I was looking at their HDMI stuff because I’m thinking about getting an HDMI switcher (so I can plug more things into my TV). People, don’t ever buy the expensive HDMI cables. Just buy the cheap ones, because they’re all the same. The Best Buy associate showed me the “Rocketfish” brand switcher, which was $80. I asked him, “Does Rocketfish just look around at the price of other company’s stuff and just double it?” He said no, they don’t. He then said that Rocketfish items are higher priced because they are higher quality. I said, “So the $80 HDMI cable right there is going to give me better quality than the $20 cable right next to it? Really?” He said, “You don’t have to buy it if you don’t want to.” And he walked away. It’s a scam, and this article pretty much proves it.